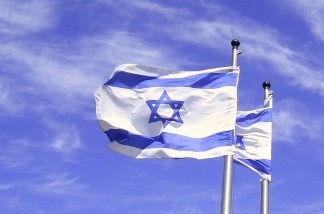 An Israeli flag flies in a blue sky. The Israeli government is vehemently criticizing aspects of President Obama’s latest peace plan. In his speech about Middle East issues Thursday, Obama reiterated that Israel and Palestine should live side by side in separate states based on the 1967 borders that existed before the Six Day War. Israeli Prime Minister Benjamin Netanyahu rejected this, stating that “Those borders are not defensible” and a Palestinian state must not come “at Israel’s expense.” Netanyahu is scheduled to be at the White House today, for what’s bound to be a tense meeting with Obama. We’ll talk with Jacob Dayan, the Consul General of Israel, about Israel’s negative reaction to Obama’s stated policy and what comes next.